We are a small herbal medicine business based in Norwich, Norfolk that provides herbal medicine consultations with medical herbalist Alex Hobbs and herbal medicine workshops for people in the Norwich and Norfolk area. Loke Herbs aims to raise awareness in our community about medicinal herbs and to make herbal medicine accessible. We aim to help people to reconnect with plant knowledge through workshops and individual consultations so they can use herbal medicine to safely and effectively promote wellbeing. 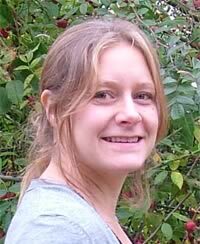 Alex Hobbs provides individual herbal medicine consultations in Norwich and Norfolk and runs herbal medicine courses and workshops. Learning about healing herbs and plants has opened up endless doorways for me. In 2010 I graduated with a BSc Hons Health Sciences: Western Herbal Medicine degree. I am a strong believer in indigenous medicine; we have evolved alongside plants and, for most of the world’s population, they are an integral part of healthcare. I love working with people, sharing knowledge and learning from each other. I recognise the importance of being heard as an individual, especially when it comes to our health and wellbeing. In each herbal medicine consultation I strive to take time to listen and take in the important details that people need to express on their healing journey. I am currently offering herbal medicine consultations at clinics in Norwich and Norfolk on weekdays. Herbal medicine is suitable for people of all ages. Medicinal plants can be used to treat or support treatment of many conditions either acute or chronic. Conditions treated may include: Stress, Anxiety and Depression; Digestive problems; Coughs, Colds & Low Immunity; Aches & Pains; Gynaecological Problems; Allergies; Skin conditions; Headaches & Migraines; Heart & Circulatory problems; Urinary disorders; and Low Energy. 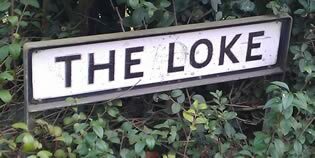 Loke is a word that is local to Norfolk, meaning Little Lane. The name was inspired by a beautiful garden at the end of a Loke in North Norfolk where we grow medicinal herbs. Our name reflects our intention to work with and be part of our local community and to use herbs that are as local as possible. Alex offers Western Herbal Medicine consultations in Norwich at The Orange Grove Clinic, Maddermarket, Norwich. Every new patient will have an initial, one hour consultation in which a detailed medical history is taken and appropriate time is given to fully understand what conditions and symptoms can be treated. After this initial consultation a herbal medicine prescription will be dispensed which may contain herbal tinctures, herbal creams and/or herbal teas as appropriate. A patient may then have a number of follow-up consultations where they explore the results of their treatment and alterations can be made to subsequent prescriptions if required. See our Herbal Medicine Consultations page for more information about receiving a herbal medicine consultation in Norwich. Loke Herbs run frequent Herbal Medicine Workshops in Norfolk where participants learn about the different healing properties of the plants that surround us in nature. Herbal medicine has been relied upon for health for centuries. Today, many people grow up in cities and have minimal contact with plants and nature. The little contact people do have with medicinal plants is often to pull them up as weeds and throw them to one side. The aim of the herbal medicine workshops is to teach people which plants around them are medicinal, how to identify them and how to use them for simple and common ailments. See our Herbal Medicine Workshops page for more information about Loke Herbs Workshops. A range of herbal products including teas, lotions, creams and aromatic sprays are available to all customers. A recent European Union directive has placed limitations upon the way in which many herbal medicines are now able to be supplied. Most herbal medicines can still be obtained by those who consult a qualified medical herbalist. See our Herbal Medicines and Products page for more information about which herbal medicines and products are available. Loke Herbs are a herbal medicine company offering consultations with Alexandra Hobbs western medical herbalist, herbal medicine workshops and herbal medicines and products in Norwich, Norfolk, UK.